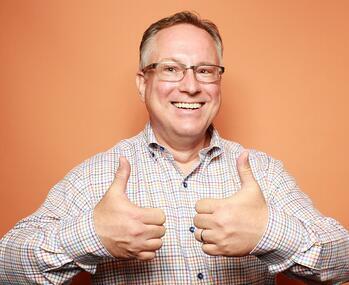 We’re excited to announce today that Scott Brinker has joined HubSpot as VP of Platform Ecosystem. In his new role, Scott will help grow and nurture the community of technology partners building on the HubSpot platform. Scott’s hire tops off an exciting year for the HubSpot Connect partner program, which has grown to offer more than 100 powerful integrations from new partners like AdEspresso by Hootsuite, Terminus, AdRoll, and Brightcove. Earlier this week, the team published HubSpot's Pledge to Integration Partners, a credo for SaaS companies embracing the realities of competition and what HubSpot strives to honor for its technology partners as it scales its ecosystem of integrations. "We're laser-focused on scaling the HubSpot Connect partner program to give our customers all of the tools they need to grow their business. Establishing strong partnerships is an essential part of the program, and we're confident that Scott is the right person to lead that charge," said Brad Coffey, Chief Strategy Officer at HubSpot. "Scott has established himself as a trusted thought-leader in the marketing space, and we can't wait to see what he's able to achieve as part of the HubSpot team." Before joining HubSpot, Scott was the co-founder and CTO of ion interactive, a provider of interactive content marketing software to many of the world’s leading brands. Scott also publishes the Chief Marketing Technology blog, chiefmartec.com, which has grown to reach over 75,000 readers worldwide over the past 10 years. 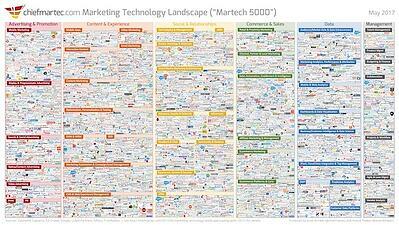 His yearly marketing technology landscape graphic – the latest one of which charts nearly 5,000 marketing technology vendors – has become an iconic reference in the industry (and can be spotted in quite a few HubSpot presentations). He is also the program chair of the MarTech conference, the world's largest vendor-agnostic event series focused on the intersection of marketing, technology, and management. "As an armchair analyst of the martech industry, I've been a passionate advocate for many years of the opportunity that platforms have to bring greater cohesion to the wildly diverse and ever-changing marketing technology landscape," said Scott. "I'm incredibly excited to have the opportunity to work with HubSpot to realize the full potential of that opportunity and help their customers get the most value out of this blossoming ecosystem." Scott is an experienced keynote speaker and the author of the book "Hacking Marketing." He's had articles published in Advertising Age, Adweek, Harvard Business Review, and TechCrunch. He holds degrees in computer science from Columbia University and Harvard University and an MBA from MIT. Connect with him on Twitter @chiefmartec. To learn more about Scott’s vision for the team and the future of HubSpot’s partner strategy, check out his post on chiefmartec.com.